Exploring spatial and nonspatial data quickly with Insights for ArcGIS is even easier now that the app can be deployed as a managed service. Insights for ArcGIS is now backed by Esri Managed Cloud Services. Backed by Esri Managed Cloud Services (EMCS), which provides users with world-class hosting and management support, Insights as a managed service gets users up and running fast. EMCS gives organizations peace of mind that their deployments are secure, since the systems are managed by cloud and GIS experts. It also allows users to focus on what’s important—discovering, sharing, and acting on the awareness they gain from visualizing their data. Insights is a shortcut to thinking spatially. Through dimensional modeling, Insights intelligently determines which visualizations best suit the data. From there, Insights can provide guided workflows to help users quickly answer spatial questions—even ones they wouldn’t have thought to ask. This is ideal for users who need to get spatial analysis going fast, as well as for GIS analysts who want to save time by using common workflows to find answers fast before heading to ArcGIS Pro to do further analysis. Insights leverages the power of ArcGIS Enterprise, a key component of the ArcGIS platform. 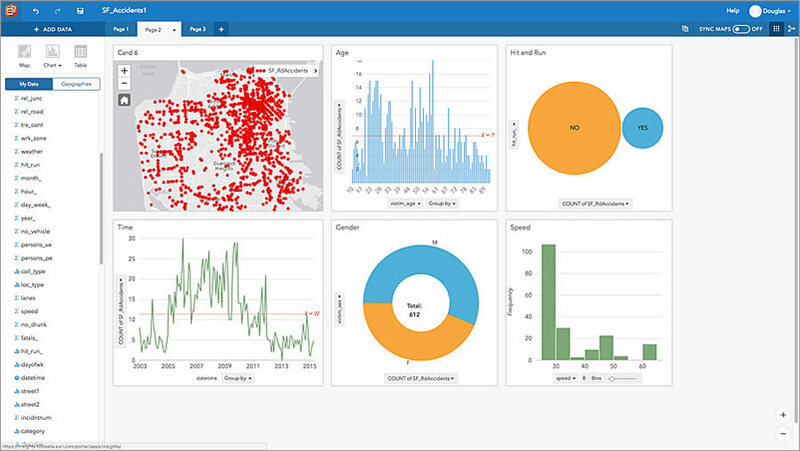 ArcGIS Enterprise equips organizations with a complete GIS that runs behind a firewall, in an organization’s own infrastructure, on-premises, and in the cloud. Together, ArcGIS Enterprise and Insights allow users to explore data—and more of it—in new ways. 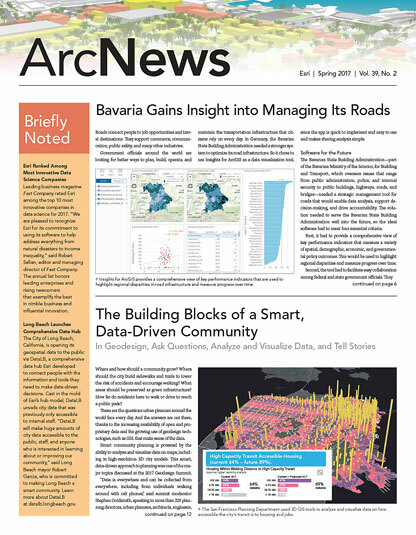 They can tap into ArcGIS GeoAnalytics Server to evaluate large amounts of historic data, as well as use ArcGIS GeoEvent Server to analyze rapidly changing information in real time—both of which provide a holistic view of any situation. Getting this kind of digital intelligence is easier when back-end operations are less demanding. That is why, once Insights is operational in the cloud, EMCS stays connected to the organization—providing regular updates on usage, operational assistance, and early warnings about storage capacity and outage events. As users’ needs and goals change and Insights progresses, EMCS helps organizations evolve and optimize their Insights environments so they continue to obtain the results they’re looking for. Get up and running with a turnkey system of Insights for ArcGIS, and learn more about Esri Managed Cloud Services.